Rendy is a researcher who concerns on the issues of urban/rural, public policy and human development. Before working for SMERU, Rendy worked as an expert staff for Policy Integration on Rural and Urban Development at the National Development Planning Agency (Bappenas) in Indonesia. 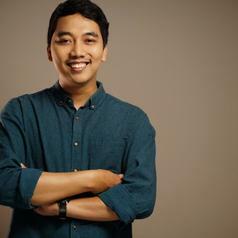 In 2012, he founded a youth community for spatial planning, Komunitas Pemuda Tata Ruang (Petarung) in Yogyakarta.